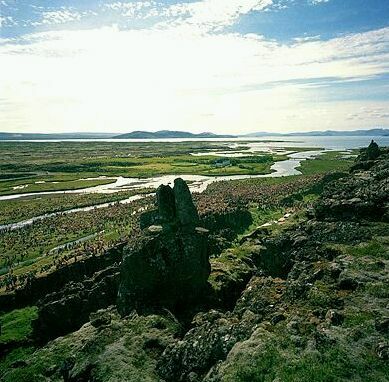 Web of Science: How did the ancient Alþingi (parliament) function, and what was its significance for the Icelandic nation? How did the ancient Alþingi (parliament) function, and what was its significance for the Icelandic nation? Space does not permit of a detailed description here of how the Alþingi functioned. Briefly, the assembly may be said to have functioned in two ways at different periods of the time that the Alþingi was held at Þingvellir. During the earlier period, from the first half of the 10th century to the latter half of the 13th, it was the national assembly of the Old Icelandic Commonwealth, and its legislative body. Little is known of its functions in the earliest years, but during the period for which we have reasonably reliable sources, the Alþingi comprised seven different bodies. The Lögrétta (Law Council) was primarily a legislative body. Four Quarter Courts judged legal cases from each of the four Quarters of the country. The Fifth Court dealt with cases which could not be resolved in the relevant Quarter Court, as well as various cases arising from legal procedures at the assembly. Finally Lögberg (the Law Rock) was the official place for public announcements. During the later period, from the latter half of the 13th century when the Icelanders submitted to foreign rule, until about 1800, the Law Council was in general the only institution of the Alþingi which functioned regularly. It functioned primarily as a court of law, but it often expressed opinions on legislative matters, especially before royal authority became absolute by law in the latter half of the 17th century. In the later half of the 16th century a special Upper Court was founded at the Alþingi. This must suffice regarding the functions of the Alþingi. Further information on this may be found in English in Jón Jóhannesson's book, A History of the Icelandic Commonwealth (1974), and in Iceland's 1100 Years by Gunnar Karlsson (2000). Þingvellir, were Alþingi was established. The picture is taken in 1974. So far as is known, the Alþingi was the Icelanders' first joint institution. During the Age of Settlement around AD 900, people migrated to Iceland from various regions of Norway, and from elsewhere. As in other new colonies, the settlers of Iceland were a diverse mixture of people accustomed to a variety of different laws and customs in their home countries. They must have spoken many different Norse dialects, and also different languages. Their self-image must have varied: those who came from Trøndelag in Norway thought of themselves as Tronds, those from Sogn called themselves Sygnir, while those who had come from Ireland thought of themselves as Irish. At the Alþingi, all these legal systems, customs, dialects, languages and self-images came together. There, more than anywhere else, the settlers learned to see themselves as Icelanders. It has been said that the Alþingi founded the Icelandic nation. Many factors contributed to that foundation, of course, but the Alþingi certainly played an important role in the process. The significance for the Alþingi for the Icelandic nation may thus be said to be incalculable. Björn Þorsteinsson: Íslenzka þjóðveldið . Reykjavík, Heimskringla, 1953. Einar Arnórsson: Réttarsaga Alþingis . Reykjavík, Alþingissögunefnd, 1945 (Saga Alþingis I). Grágás. Lagasafn íslenska þjóðveldisins . Reykjavík, Mál og menning, 1992. Gunnar Karlsson: Iceland's 1100 Years. The History of a Marginal Society . London, Hurst, 2000. - - "Upphaf þjóðar á Íslandi." Saga og kirkja. Afmælisrit Magnúsar Más Lárussonar (Reykjavík, Sögufélag, 1988), 21-32. Saga Íslands I-VI. Samin að tilhlutan Þjóðhátíðarnefndar 1974. Ritstjóri Sigurður Líndal. Reykjavík, Hið íslenska bókmenntafélag, 1974-2003. Gunnar Karlsson. „How did the ancient Alþingi (parliament) function, and what was its significance for the Icelandic nation?“. The Icelandic Web of Science 5.3.2005. http://why.is/svar.php?id=4787. (Skoðað 21.4.2019).